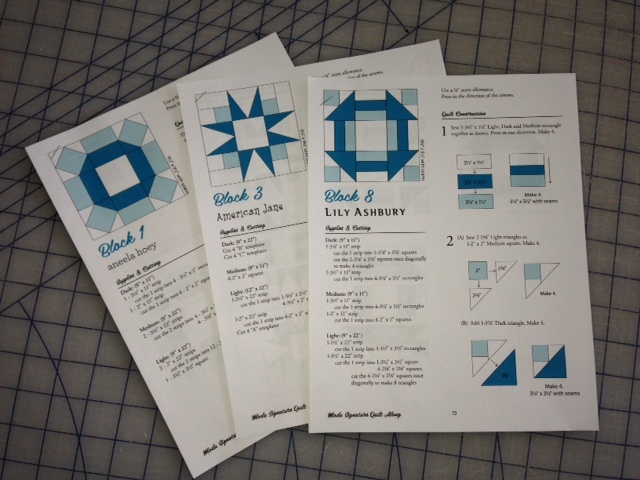 A Quilt Along | Quilting my way through life! I finally decided which block would be my 30th block. I thought this block would make a nice finish. Block 21 signed by Mary Jane. 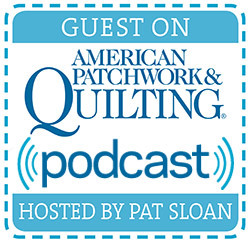 unless you count that Quilt Market is just a little over 2 months away, yikes! and get back to work!!! 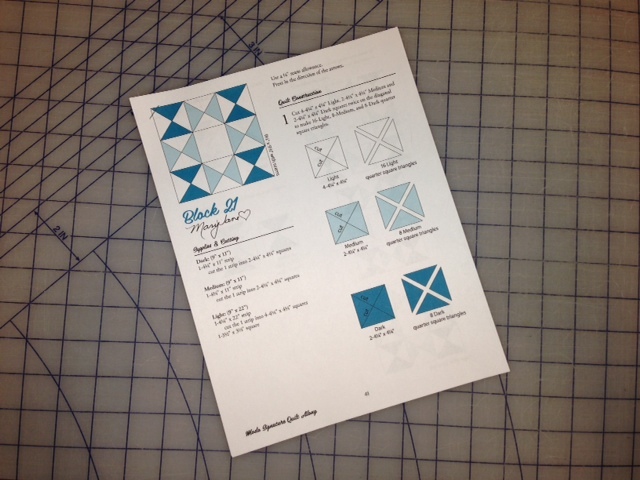 Finishing instructions are on Moda’s blog. but then I realized I have about half of each of the half yard cuts left that I started with. 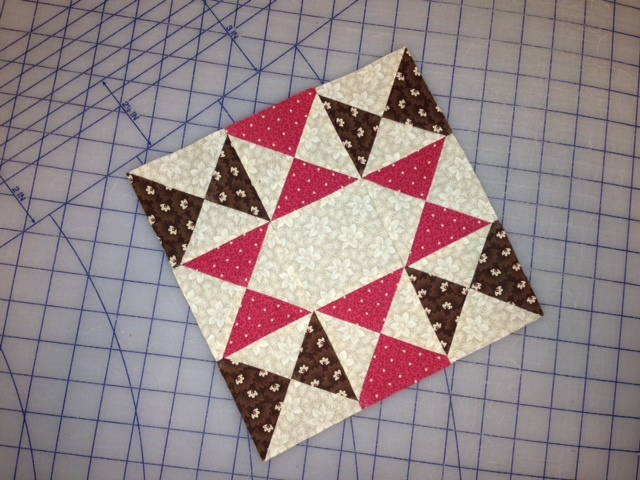 Now I’m thinking perhaps they would make nice 9 patch sashing around these beautiful blocks. I have time to think on that one. I barely got the blocks done today. Let’s see if I can get them posted here while it’s still Saturday! Block 1 by Aneela Hoey. This block took me a little extra time. so I went back a re-cut some of the pieces. It was worth the extra time I think. 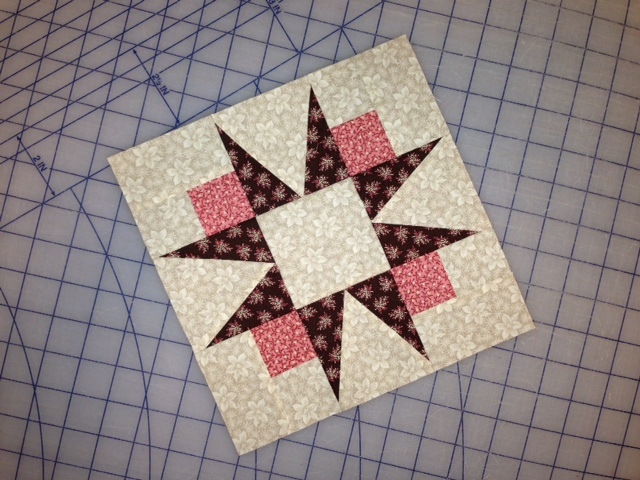 Block 3 by American Jane. (as it was known back in the day, not sure it’s current name). kind of like how we watch scary movies! I’m impressed with myself, I didn’t re-sew any of the seams! Block 8 by Lily Ashbury. 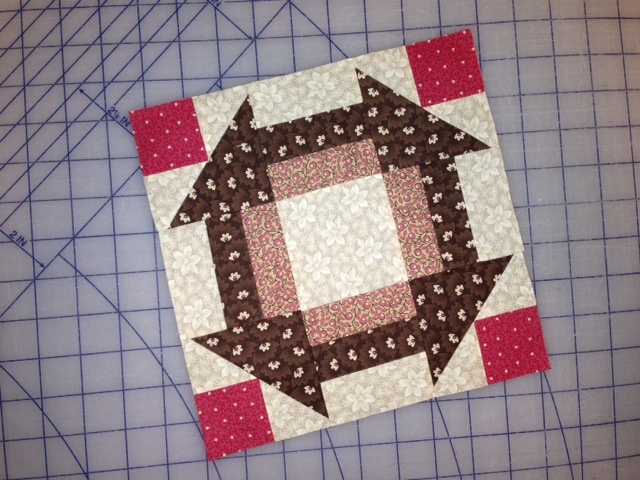 This is the only block that I didn’t use just 3 fabrics like the instructions called for. 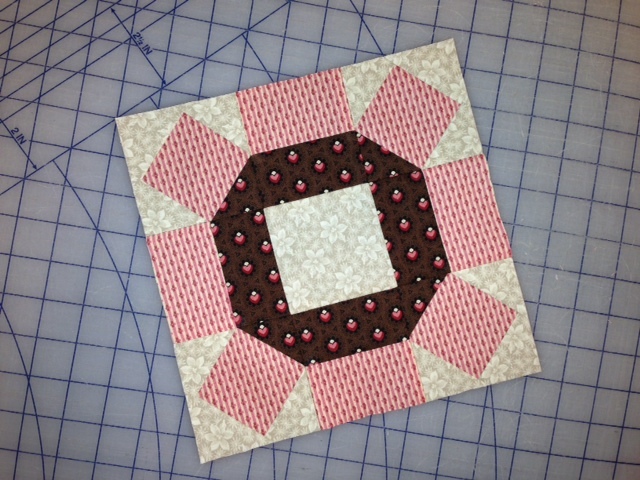 I already had 4 squares cut of the pink and decided to use them for the corners. Now to decide what my last block will be. Since one day last week only had 2 blocks, I need one more. We’ll just all have to wait & see.